I want to share with you this luxurious homemade face scrub recipe, as its effects on skin are spectacular! And it's all natural and doesn't cost you a fortune as if you would have bought it from a beauty store. 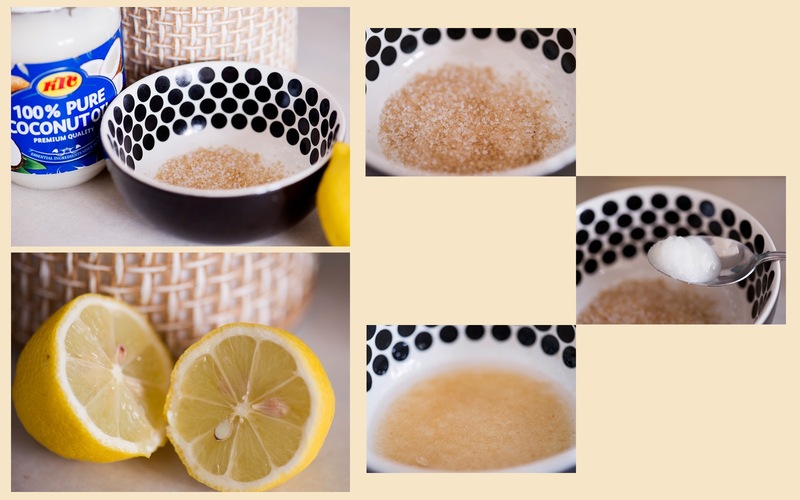 You can use any exfoliating products you have and add any oils you prefer, but I chose brown sugar combined with white sugar to exfoliate the skin and added juice of half a lemon and half teaspoon of coconut oil. So, I mixed all these ingredients and used the mixture all at once, very quickly so that the sugar doesn't melt. You can also use this mixture all over the body. *The lemon juice could make your skin sensitive to sun, so if you're using this scrub during the day and then you expose yourself to the sun, just wear a sunscreen cream.